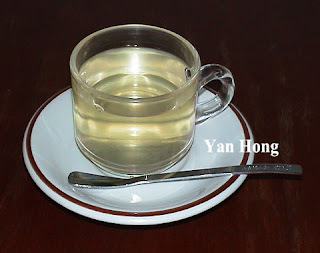 I had published an article on South Korean stainless steel bowl and chopsticks. 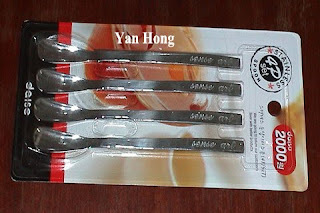 In this post, I will write about South Korean stainless steel spoon. There are four stainless steel spoons in a set. I forgot to enquire my son regarding the price. My wife uses the stainless steel spoon to scoop salt, sugar, chilli and soy sauce. I use the stainless steel spoon to stir my drink.